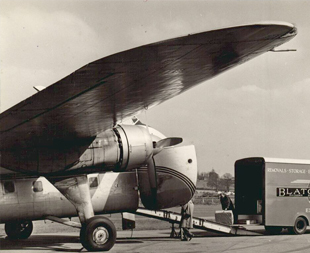 "The Blatchford family has been moving homes and businesses across the globe since 1932." in 1932 Walter Blatchford started in the removals industry and he worked through to 1967 giving a total of 35 years in the industry. 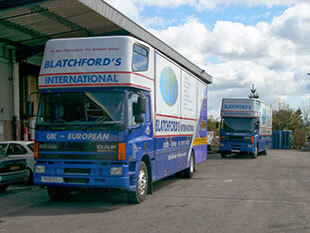 Blacthfords International is a family removal and storage business operating from the historic city of Exeter. The Blatchford Family is well known locally for its connections with the removal and storage industry and especially for international shipping and export packing. Now in the third generation the family have gained a comprehensive bank of knowledge and experience that other companies would find hard to match. 35 Years within the industry. Over 35 Years within the industry. Walter was joined in 1948 by Derek Blatchford who worked right through to retirement in 1998, giving 50 years of service. In that time Derek worked tirelessly to promote and to develop the industry as a whole from within the B.A.R. (British Association of Removers). Derek became president of this association in 1980 -1981. Derek was joined in 1978 by David to become the 3rd generation of the Blatchford family, and to this day he strives to provide clients with sound help and advice and to continue to develop the company. "The Blatchford family have been moving families and homes for 3 generations going back to 1932."